Take nothing but pictures, leave nothing but footprints and use nothing but time. One of the many reasons I was excited to return to Croatia earlier this month was the opportunity to visit some UNESCO sites I missed on my first trip. This includes the pinch-me-I-must-be-dreaming Plitvice Lakes National Park on the Croatian/Bosnia and Herzegovinian border. Not gonna lie, taking the bus from Zagreb to Plitvice was not a pleasant 2.5 hour journey, despite the rock-bottom $13 fare and the nice driver who allowed Mango on board (unfortunately, Croatia's buses are hit or miss on dog-friendliness). But we made it in one piece and were treated to a quiet week in Croatia's countryside. With plans of exploring Plitvice and doing some very (very) low-impact hiking, I was excited to break in the new pair of tennis shoes I bought in Zagreb. Because these days, shopping for good tennis shoes is akin to checking a UNESCO site off my bucket list, but I digress. 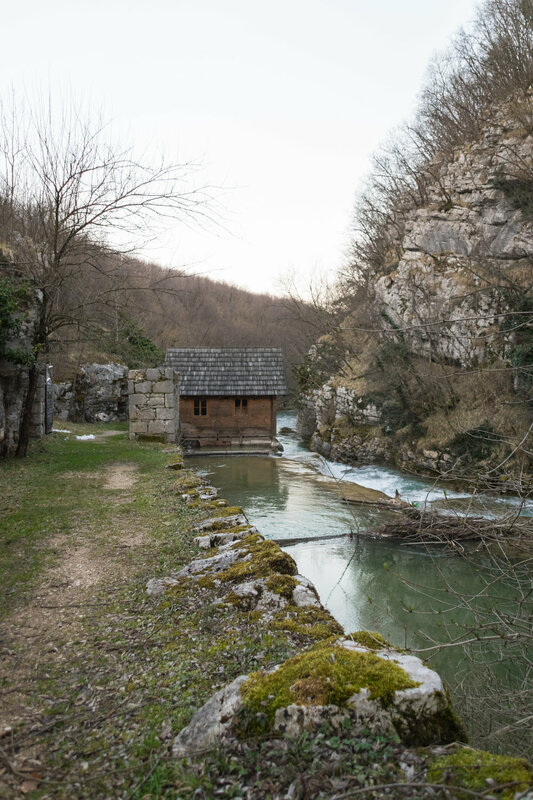 Despite visiting the park as it emerged from winter hibernation, Plitvice Park was astonishingly beautiful with its clear blue-green water and roaring waterfalls racing over limestone and chalk. For thousands of years, this constant flow of water has formed natural barriers, dams, caves, and (get this) lakes. Massive Plitvice is the oldest national park in Croatia, and it has been a UNESCO World Heritage Site since 1979. The entrance fee was a low $8 (which triples in the high season) and includes bus and electric ferry transportation within the park. Apart from missing an abundance of lush greenery, visiting in the off-season means that parts of the park are closed as are many of the waterside cafes and restaurants; shops at the entrance are closed as well. Despite this minor setback, any time is a good time to visit Plitvice. 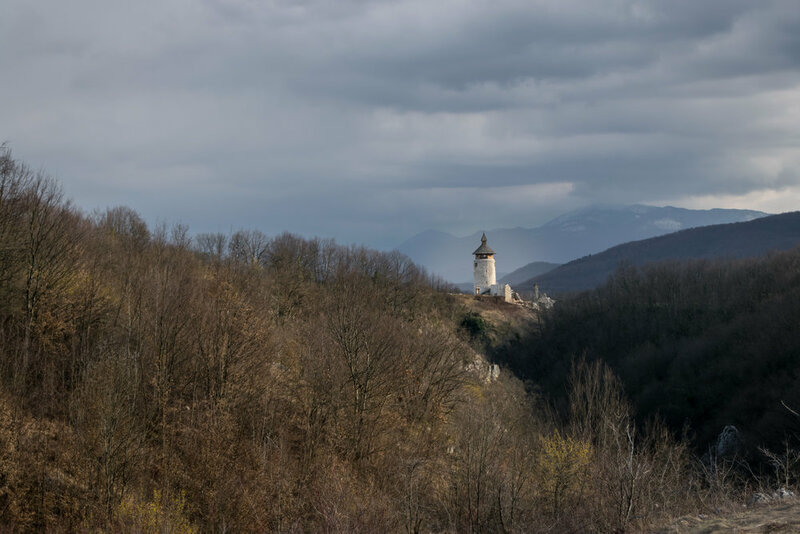 Along the Korana river are a reconstructed mill and ruins of the old town, which offered stunning views from the tower. Mango and I walked up the hill to the "newer" Drežnik, a cute little town buttoned up for the season, but with a lovely church and views.